Stage schools, drama schools or any organisations offering performing arts education in the UK are eligible. This covers all age ranges and education levels from stage schools for young children to degree and post-graduate education. Judged on criteria including (but not limited to) exam results, Ofsted reports, ISI reports, alumni success. At a time when the government’s unrelenting focus on the English Baccalaureate is encouraging many schools to cut back on the time and resources they allocate to arts education, Great Torrington School stood out to the judging panel as a shining exception. This mixed secondary school in Devon with academy status has overhauled its performing arts provision over the last decade. For the last four years, the school has taken part in the National Theatre Connections  programme and this year was recognised with a gold Artsmark by Arts Council England. Performing arts is one of the school’s most successful departments, with drama used as a driving force of the Year 7 curriculum and the performing arts used more generally to help improve literacy levels. Vocational training is also offered, including dance workshops. Subject results have improved and now boast a 100% pass rate since switching to more vocational courses. A range of extra-curricular performing arts activities is also offered, from large-scale musical productions of Grease and School of Rock to GTS in the Park to Torrington’s Got Talent. Meanwhile, the school also offers students the opportunity to join biannual theatre trips to London and New York. 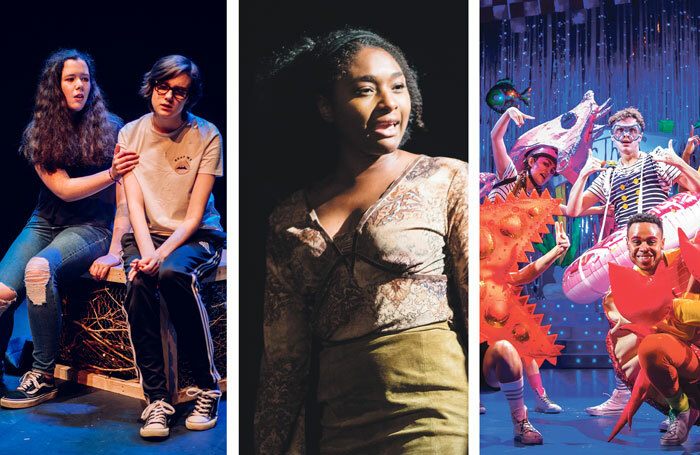 Lack of diversity in the theatre workforce continues to be a major challenge and Open Door offers the beginning of a solution to improving representation in the talent pipeline. Part-funded by Game of Thrones  actor Emilia Clarke when it launched in 2017, this non-profit organisation provides 18-25 year olds from low-income households with financial support and a year-long programme of training, mentoring and other resources in preparation for, and in support of, drama school applications. The project, founded by actor David Mumeni , has also received funding from Arts Council England, Women Voices and United Agents and has partnered with drama schools LAMDA , Central , Drama Centre , RADA , Royal Welsh  and Guildhall  and, for its second year, the Royal Conservatoire of Scotland . It has also received support from high-profile agents and casting directors, as well as theatres including the Royal Court , Soho Theatre  and the Donmar Warehouse . Despite being a relative newcomer, it has already shown impressive results: its first cohort of 30 students received 200 audition recalls, 85 final-round auditions and 35 offers of places at its partner schools. In year two, the scheme will be expanding to accept applicants from the East Midlands and will also be offering support for young people keen to pursue a career in production or backstage. One of the defining features of the Lyric Hammersmith ’s audience is its youth and vitality. This has in large part been thanks to the excellent work that the west London theatre has undertaken to engage with young people up to 25 years old. Over the past decade, the Lyric has established a national and international profile for its work in this area, and Young Lyric is the umbrella organisation encompassing activities ranging from outreach projects to apprenticeships, schools activity and targeted work supporting vulnerable young people. In the year to March 18, the Lyric worked with more than 5,000 young people, with 34,000 attendances at its classes and holiday activities. Of these, around 40% come from Hammersmith and Fulham and the vast majority from the 10 west London boroughs. In Hammersmith and Fulham, nearly half the members come from the most deprived areas in the UK. Prices are kept as low as possible and offer at least one bursary place on every course, often more. Many activities, especially those targeted at marginalised young people, are free of charge, and 70% of all classes cost £4 or less per session. This year, the first Lyric Ensemble was formed – a company of 15 untrained 18-25 year olds without agents. The young performers met and trained twice a week over nine months, resulting in a production of Abandon in June, hailed by The Stage as “an energetic, affectionate tribute to the process of theatremaking”. Every member has gone on to further training or employment in theatre, and many have acquired agents.